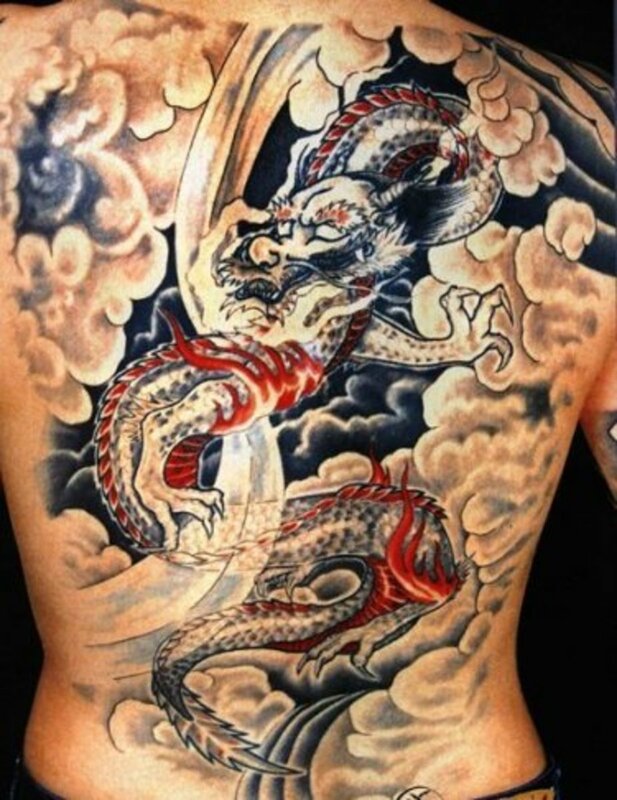 Most people agree, and the industry overall concurs, that dragon tattoos are the most popular tattoos in the world. Both men and women like to wear them and they look awesome on both. What's fascinating about these tattoos is that they can mean very different things, depending on whether your roots are in the East or the West. Even the shape of a dragon differs across cultures. For example, what a dragon looks like varies from Japanese to Chinese cultures. A Japanese dragon is generally slender and long, and they usually are not thought to have the ability to fly. Chinese culture, on the other hand, tends to associate the dragon much more with wings and flying. So when you see more of a snake-like creature tattooed on someone with a dragon head, this design has a Japanese influence. In this first photo is an awesome green dragon that looks like one of those you might see carried by dancers celebrating Lunar New Year in many Asian countries. This one apparently is attempting to wreak some havoc on some poor people, who look like they're trying to fight back. But the star of this tattoo is the dragon—the body, teeth, scales and tongue all combine to make a fierce but amazing image. I like how the colors of this dragon blend together so well. The cream background is a good canvass for the dark ink and red highlights. It's also interesting that the background is black in the middle and has light edging around the dragon to help it stand out. The flames burning on its body add a nice touch to the overall look of the design. 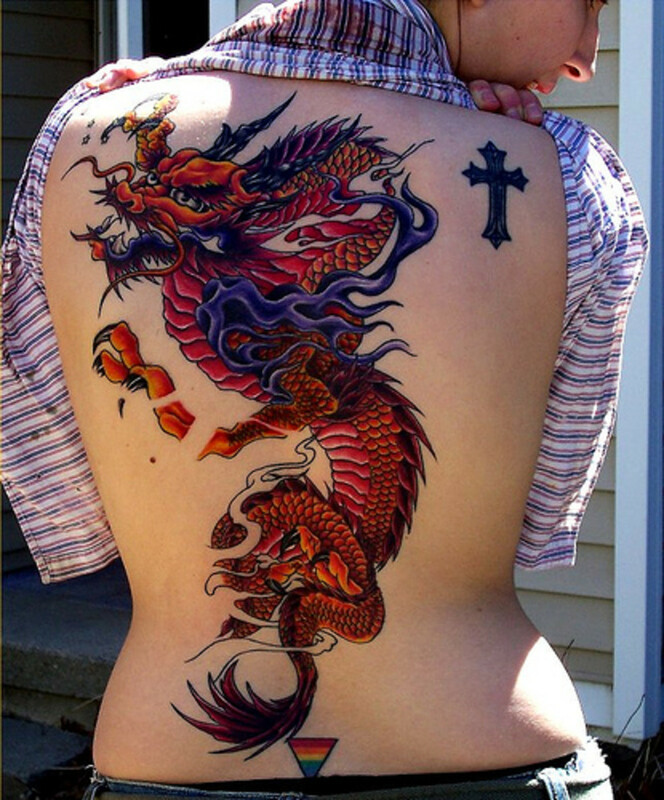 Because Asians really like bold, vibrant colors, many times it is expressed in tattoo art, as you can see in the photo below. When dragons are done with a lot of color, green and red are usually the predominate colors, with others like blue used at times. 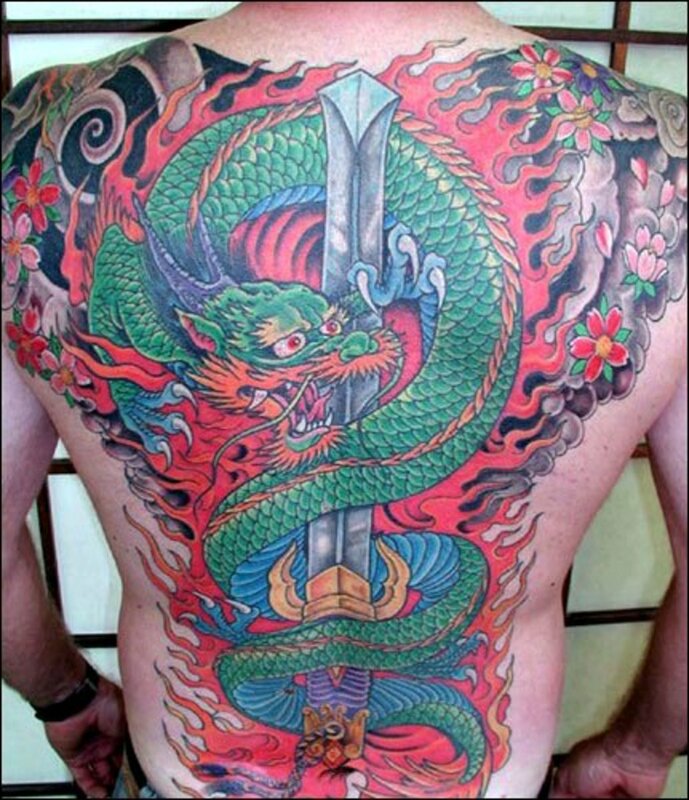 It's fascinating to see the dragon encircling itself on the sword in the center of the back. There is also fire coming from the dragon. 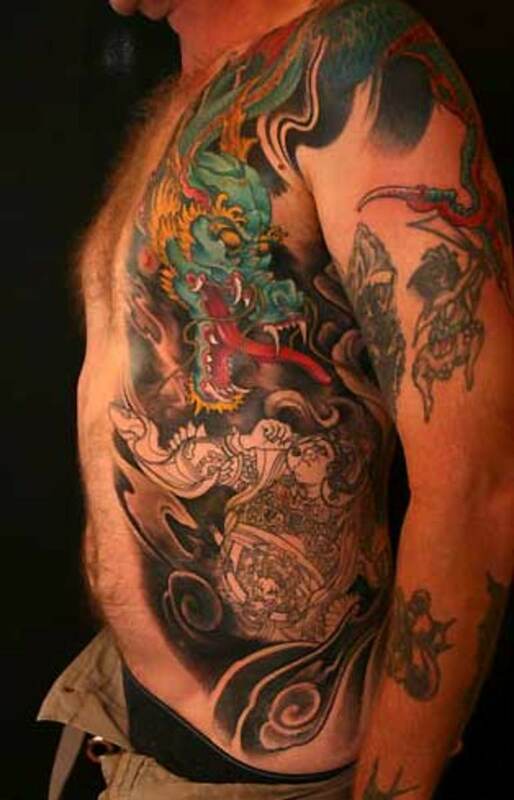 Dragons offer tattoo artists and designers such great material to work with, and you see some pieces that are incredibly colorful works of art, using the body as a canvas. 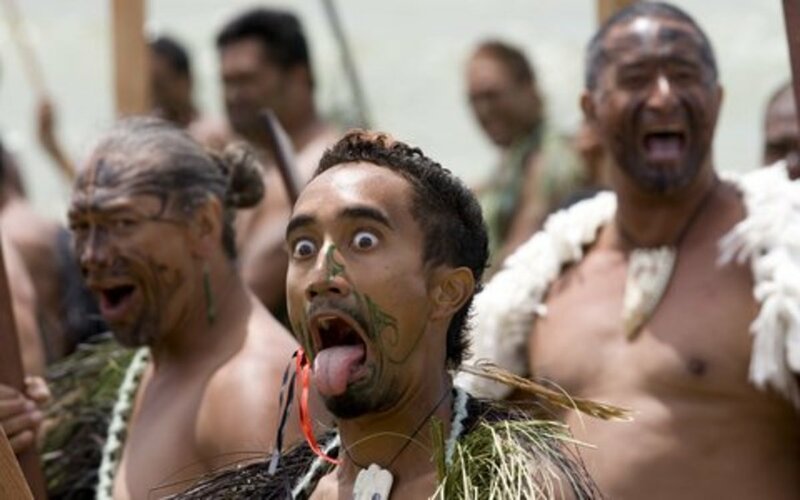 Others are completely black in color, and have a tribal feel. Below is an example of the dark-colored dragon, this one with wings and sharp, long talons. 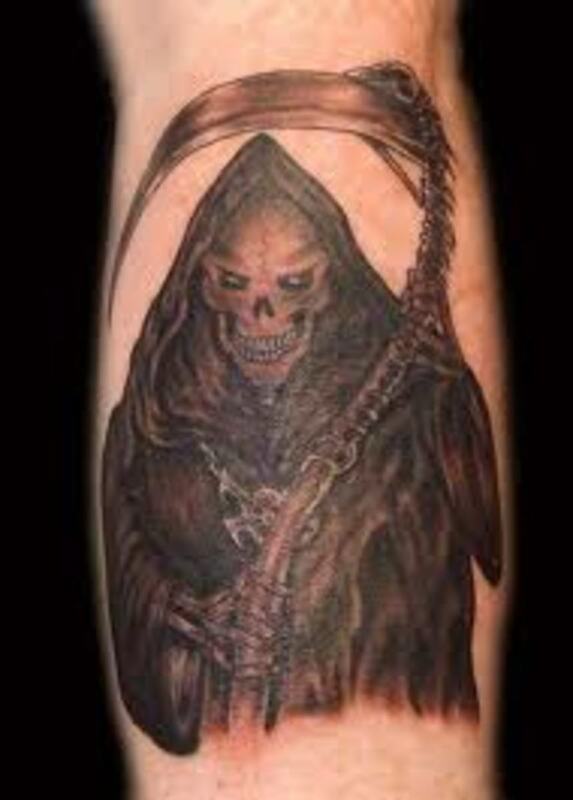 The shadowing and alternating dark and light colors really make this a compelling piece of body art. Here we have one of the highest quality designs I've ever seen. Everything about it just sticks out in an extraordinary way. Unfortunately, the photo quality isn't so good. 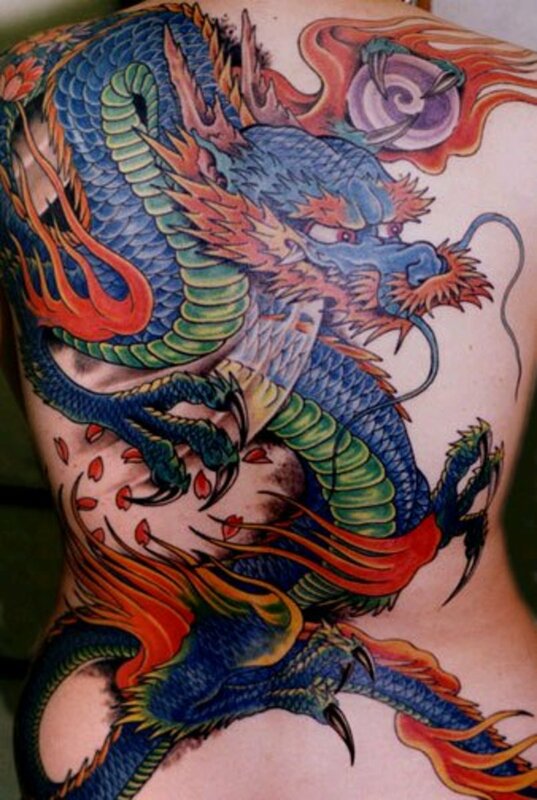 Nonetheless, there is so much that does show that it leaves no doubt as to what a fantastic dragon tattoo this is, one that I'm sure is very difficult to reproduce. But it sure generates a lot of ideas on how to create a magnificent image. Half sleeve, a design that goes up the arm, over the shoulder, and across one side of the chest. Probably the most frequent placement is the entirety of the back, where men and women alike seem to prefer them. The last place is on the outside of the top of the arm; from a little above the elbow and farther up. 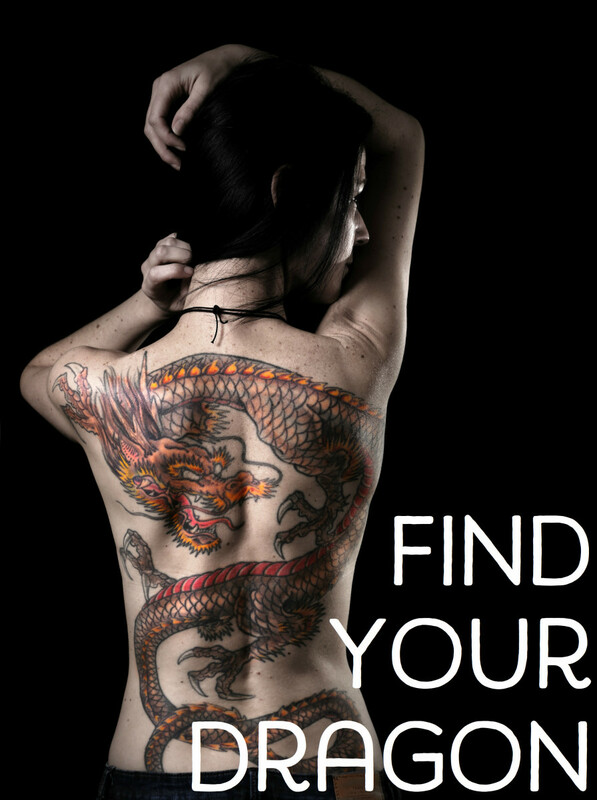 There are of course exceptions to these three places, but probably 80 to 90 percent of all dragon tattoos are in these locations. It could be placed in many parts of the body too, including the foot. Many Asians find more meaning in these tattoos than their Western counterparts. 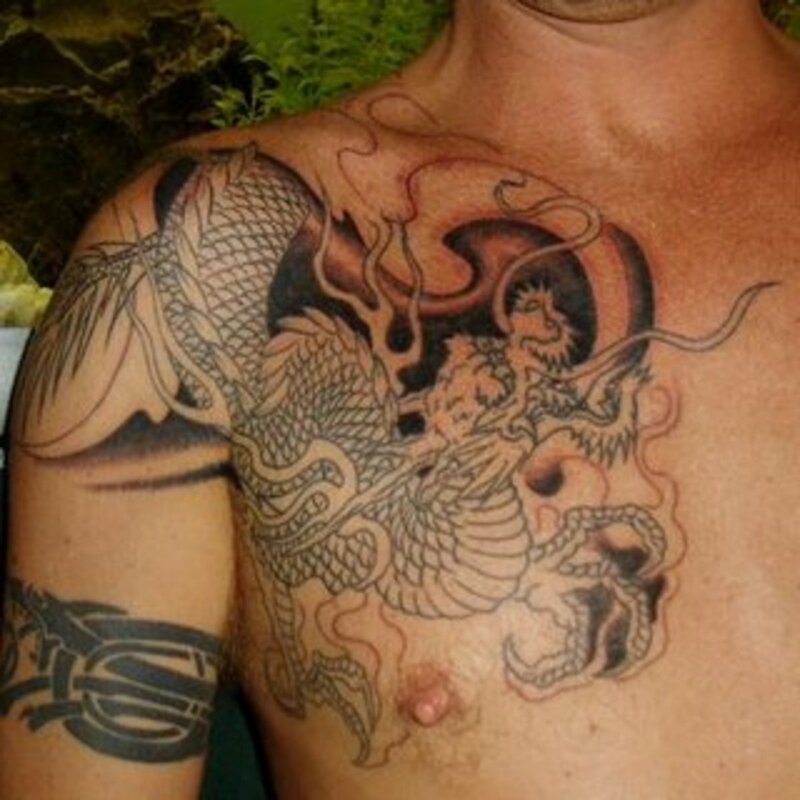 The symbolic meaning behind them is considered much deeper than the 'cool' factor that dragon tattoos carry in the West. That's not good or bad. It's just a reality. 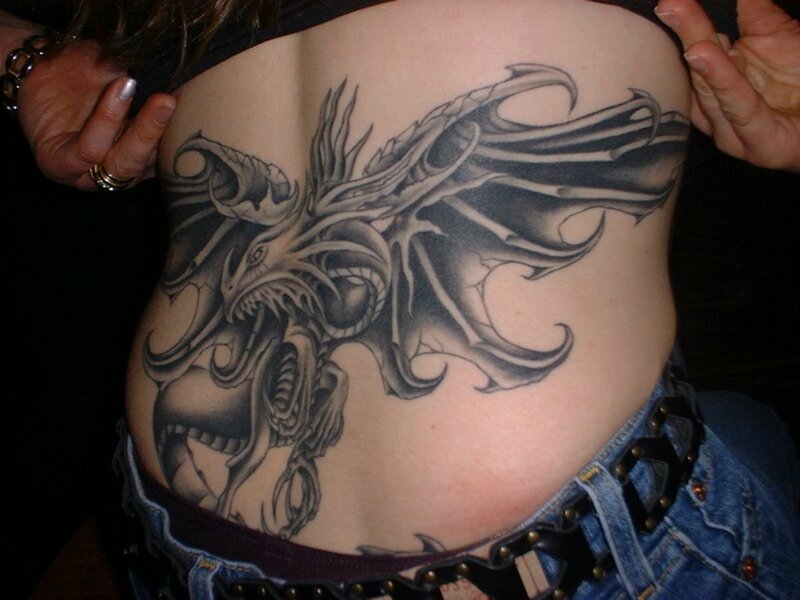 Dragons also speak to something of the character that makes up many people, and so they're really considered an extension of who they are, possibly more than any other tattoo. Tribal tattoos have a similar effect as well. Here is an example of a red dragon with blue highlights added to it. The deep-set eye sockets are designed very well, producing that sometimes ominous feeling you get when viewing dragon art. It's easiest to see near the tail of the dragon and its left arm. 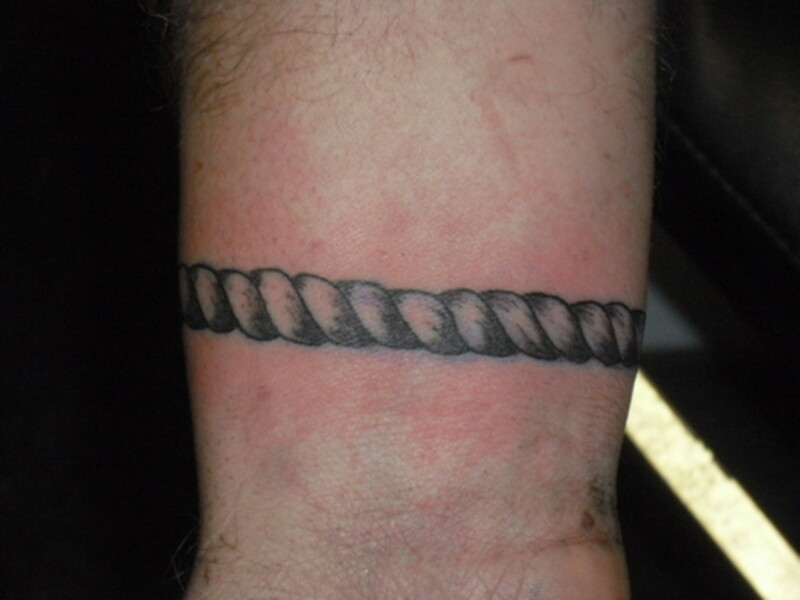 Another unique part of this tattoo design that isn't immediately recognizable is the tendril-looking skin color lines mixed throughout the piece. 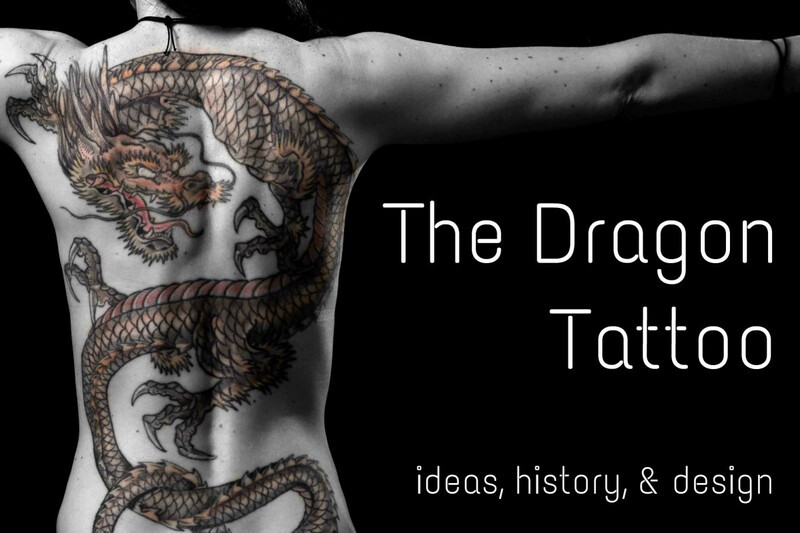 Because the dragon can be imagined as a long shape, and in a lot of instances are placed that way on the body, women and men can have them applied in ways that complement their unique body makeup, which I think is the reason why they're so popular. They are also popular because, as mentioned earlier, they have a lot of meaning in Asian cultures. But based upon design, it's the shape that allows artists to have a lot of leeway with what can be done. 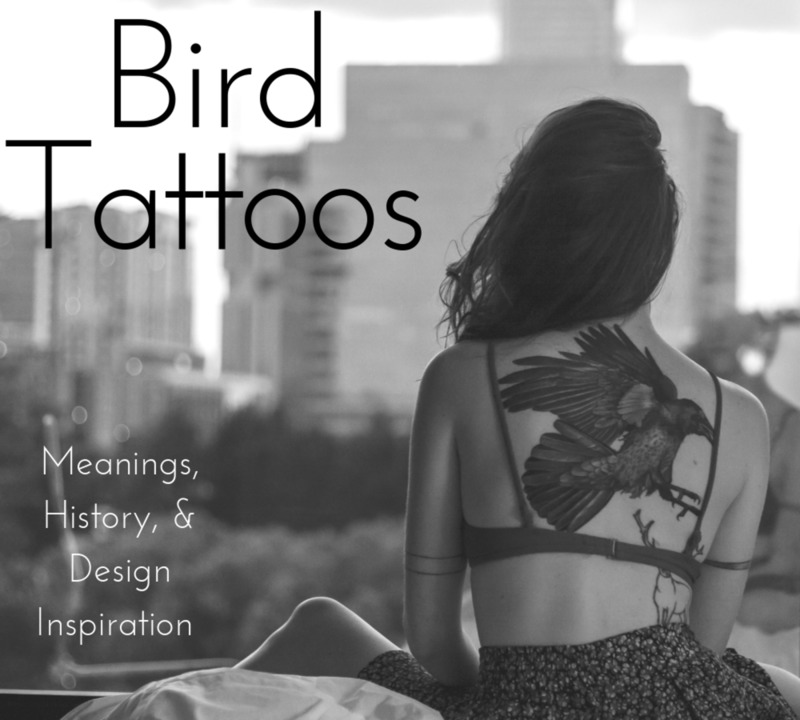 It's that versatility and accompanying meaning that makes it so desirable as body art. There are a lot of different styles and choices to pick from, which also lends itself to the growth and popularity the dragon tattoo enjoys. It's like a positive look constantly getting feedback and being expanded upon. 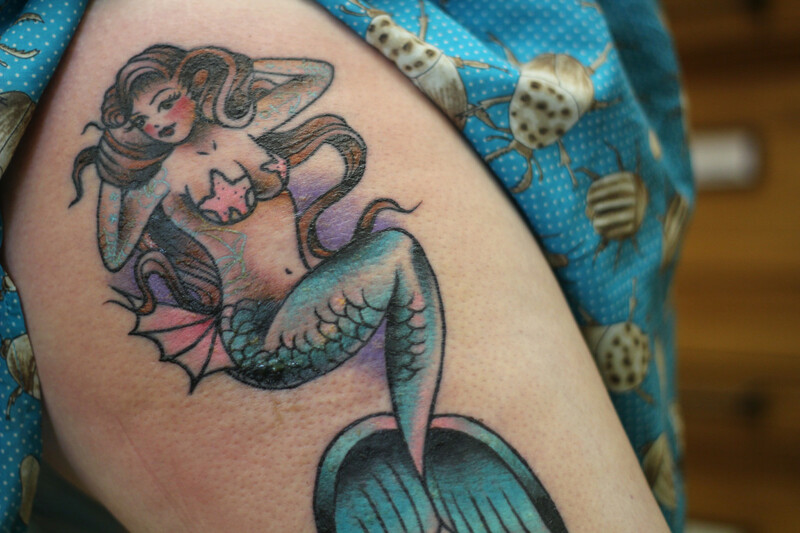 It can also be very colorful, which makes it appealing as a tattoo. 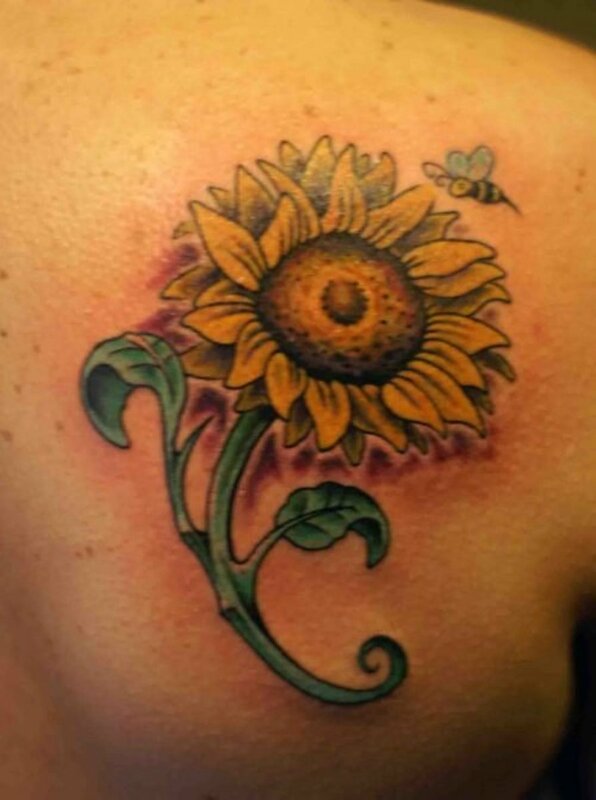 No matter where you may want to put your tattoo, there will be a design you are sure to like. This is what makes body art design so successful and fascinating, and increasingly desired. After you look at the examples, you'll agree that they're really extraordinary, even if just to enjoy as a piece of art.